Is there a posibility to align the edges of an polygon (in my case these edges are also the total extents of the layer) to the edges of the map item? I want to keep the specific page dimensions. edit: I was trying around a while and found a kind of solution: there is an command called Export map as PDF in the "Project" Menu tab. There you can set the extent from a layer of your choice. This exported all active layers in my main canvas to the given extent. Not exactly what I was looking for but in this case it worked fine for me. 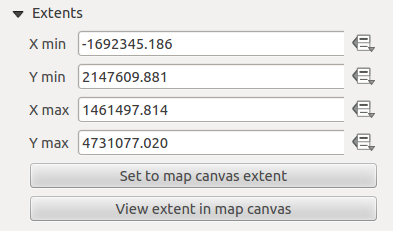 In QGIS 2.18 and 3.4, that button is located in the Extents section, with the name Set to map canvas extent. Yes, If your X,Y page dimensions are a parallel ratio of layer extents X,Y. For example, if your page dimension is 30X40cm and you have a 3km by 4km layer just grab the image's boundaries using select/move item too, then align it with your page edges, then find the suitable scale (1:10000 for our example) to fill the page under the "Item properties" tab in the right side of the screen. 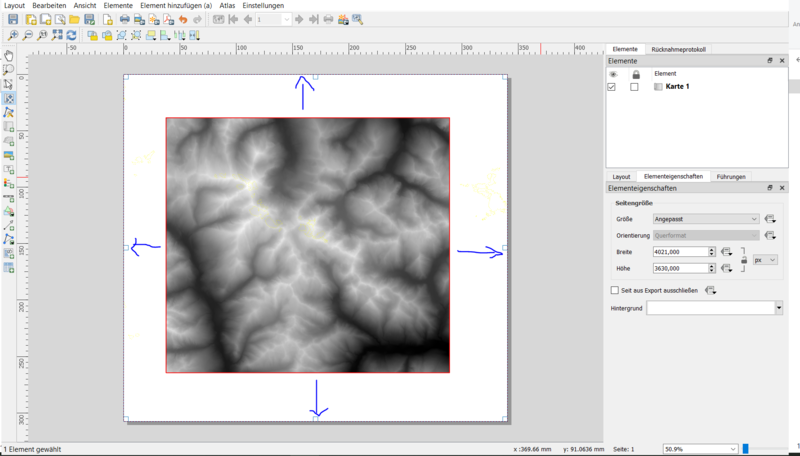 If they are not ratios, try to use different raster manipulation softwares like GIMP or PHOTOSHOP to do that but keep in mind that your input layer will stretch or crush and will not represent the true extents of the original layer. Not the answer you're looking for? Browse other questions tagged export print-composer extents or ask your own question. 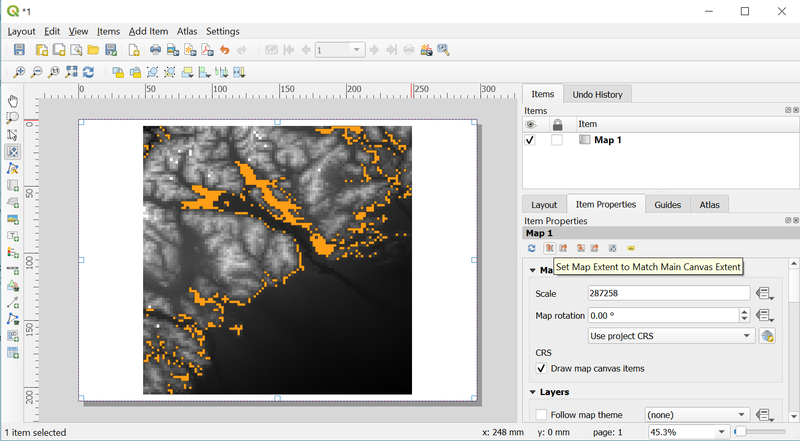 How to export a map into a low resolution image in QGIS?